There are many other policy implications that come with the spread of slower, safer city bikes -- here in B.C., a big one is around mandatory helmet laws. Many such laws were passed at a time when fast, forward-leaning cycling was the norm, and safe bike infrastructure was virtually non-existent. When drifting along at a walking pace, in an upright position, on a dedicated cycle track, the notion of legally requiring head protection certainly changes. North American bike culture is changing. Fast. And a big part of that shift is in the type of bicycles people are choosing to ride. Traditional upright city bikes have seen an explosion in popularity in recent years, with real implications to the way we design and experience cities. While this trend may have started with images of stylish cycling Scandinavians circulating on blogs and social media, it is becoming increasingly clear these machines aren't just a style or passing fad. Urban bikes interact with the city environment in a notably different manner, broadening the way we provide citizens of all ages with healthier, happier, more social, and less expensive means of mobility. First and foremost, it's important to clarify what we mean by upright city bikes, and how they differentiate from other styles you may see. With their high, sweeping handlebars and sometimes step-through frames (which are not suggested to be gender-specific anywhere but in North America -- just practical, comfortable design), they are designed for a different posture: riding in an upright position -- rather than hunching over -- taking all strain off your back, shoulders, forearms, wrists, and hands. Not only are they designed for comfort, they're sturdier and safer, making them ideal for cruising at slower speeds, providing opportunities for an intimate, unfiltered awareness and experience of the people and places around you. They're not meant for long distances or off-roading, but are the perfect means for a short, slow, non-sweaty jaunt around your neighbourhood. To be perfectly clear, we have nothing against other styles of bike. We both have or have had just about every type, for different occasions and purposes, and there is room for each and every one of them on our city streets: mountain, hybrid, road, recumbent, unicycle, tricycle, tall-bike, or even electric-assisted. But as many North American bike cultures rapidly grow and mature, the number of machines specifically designed for urban movement is also increasing. That's a welcome development, because it's encouraging folks of all ages, abilities, and backgrounds to give it a try. The primary goal of modern bicycle planning is to increase ridership, predominantly among those less represented in current North American cycling: women, children, and seniors. The Holy Grail of bike planning is the achievement of 8-80 and 50/50 -- eight-year-old kids to 80-year-old seniors, and an equal split of men and women. The myriad benefits of accomplishing this have been well documented, and include economic, health, social, creativity, traffic congestion, and environmental advantages. In recent decades in North America, a small niche of riders dominated cycling (if cycling existed at all); mostly able-bodied, middle-aged men, who rode fast, and dressed the part (including the so-called "middle aged men in lycra," or MAMILS). Until recently, much of the discussion among city designers has centred on how to design for them, with one of the most important challenges being providing facilities at work for showering and changing after all that sweating. For years, this made it very hard to grow ridership numbers beyond a limited base. Outside of North America -- particularly in Europe -- city cycling has always been a more diverse and inclusive endeavour. 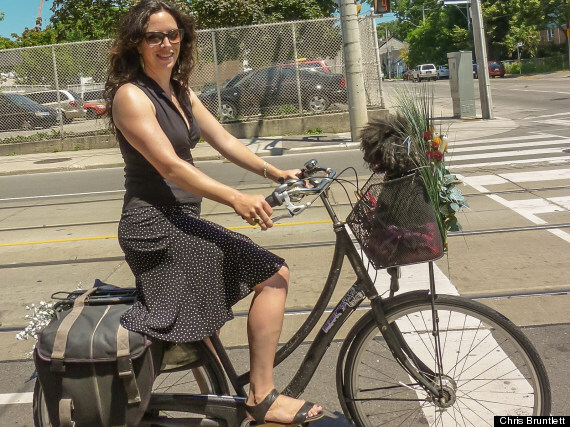 In key cycling cultures, almost everyone rides a bike for transportation -- including women, children, and seniors -- and they do it in their regular street clothes. It's not uncommon to spot women pedalling down the street in dresses and high heels, and men in suits, carrying open umbrellas if it's raining. It's not just that streets and places are designed differently in bike-friendly cities -- they are of course, many with a comprehensive network of safe and separated cycle tracks -- but it's also that bikes have been designed differently too. Amazingly, in the last five years or so, these bikes have spread everywhere -- perhaps most visibly in the proliferation of public bike-share schemes that utilize them almost exclusively -- and they are changing the conversation about how we design a more accessible, equitable and resilient city. The ripple effects of the growth of city bikes may not be immediately obvious, but they are most certainly there. City planners are beginning to think beyond building "fast lanes" for commuter cyclists, and focusing on establishing a fine-grained grid of bike-friendly streets. We're not just designing for speed, but also for convenience, accessibility, and flexibility. And we're beginning to understand how upright cycling on main streets can benefit street-level retailers -- facilitating slower speeds, better views of storefronts and signage, and spontaneous stops (and purchases) which become much more straight-forward and likely with the means to carry objects in an easy basket or bags. 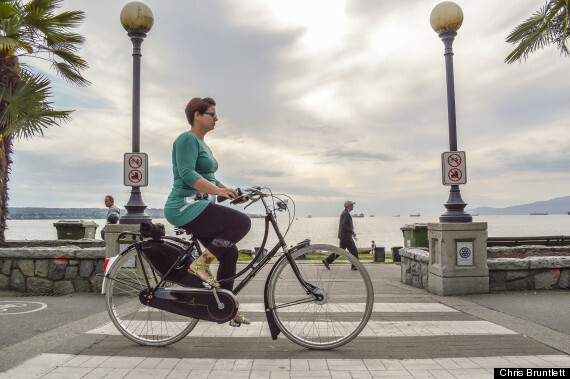 There are many other policy implications that come with the spread of slower, safer city bikes -- here in British Columbia, a big one is around mandatory helmet laws. Many such laws were passed at a time when fast, forward-leaning cycling was the norm, and safe bike infrastructure was virtually non-existent. When drifting along at a walking pace, in an upright position, on a dedicated cycle track, the notion of legally requiring head protection certainly changes. And in recent years, those American cities that have seen the largest uptakes in cycling --especially through bike-share use -- have also seen noticeable reductions in helmet use and in injuries and fatalities (head or otherwise). This provides further evidence of something we now understand, or should understand -- that the safest thing for cyclists is more cyclists, and creating unnecessary conditions and barriers to more bike riding is counterproductive. For more on the debate about mandatory helmet laws, see here, here and here, but our point is that part of the unravelling of the argument for helmet laws comes from the changing nature of bike designs and their related speeds. The most important thing about the growth of sit-up cycling is that it facilitates getting more people on two wheels, changing our perception of how we can move around our cities, making cycling more appealing to demographics that were traditionally left on the sidelines. These bikes help take cycling beyond speed and sport, making it a much broader, inviting, inclusive activity. We have nothing against spandex, dropped handlebars, and long commutes, and we definitely aren’t against helmets as a choice. These all will remain a portion of city cycling, and that’s generally a good thing. But it’s important that we grow ridership beyond this limited base, as more and more choose cycling as a reliable, effortless part of their everyday life: in ordinary clothes, with no showers necessary. The upright bicycle has played a central role in that cultural evolution. So yes, we are big fans. Not as a matter of style, but because they can help transform our cities for the better. Brent Toderian is an international consultant on city planning & advanced urbanism with TODERIAN UrbanWORKS, Vancouver's former director of city planning, and the president of the Council for Canadian Urbanism. 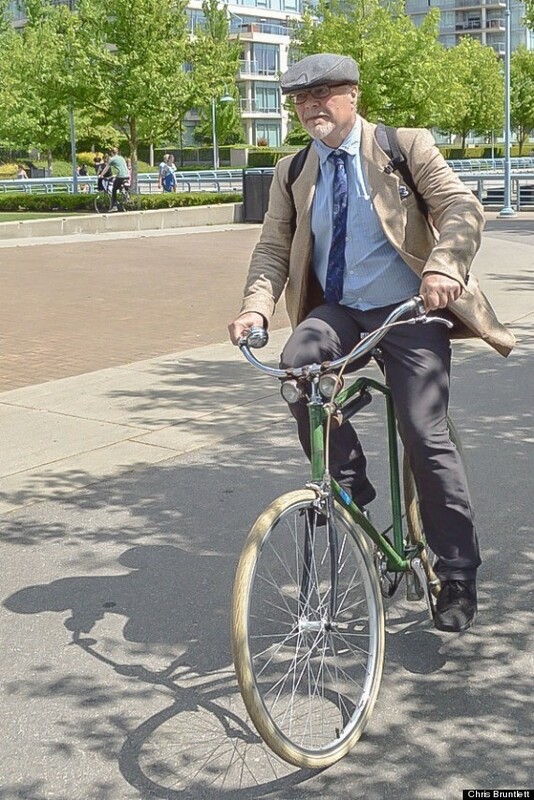 Follow him on Twitter: @BrentToderian. Chris Bruntlett is the co-founder of Modacity, a multi-service consultancy focused on inspiring healthier, happier, simpler forms of urban mobility through words, photography and film. Follow him on Twitter: @modacitylife.